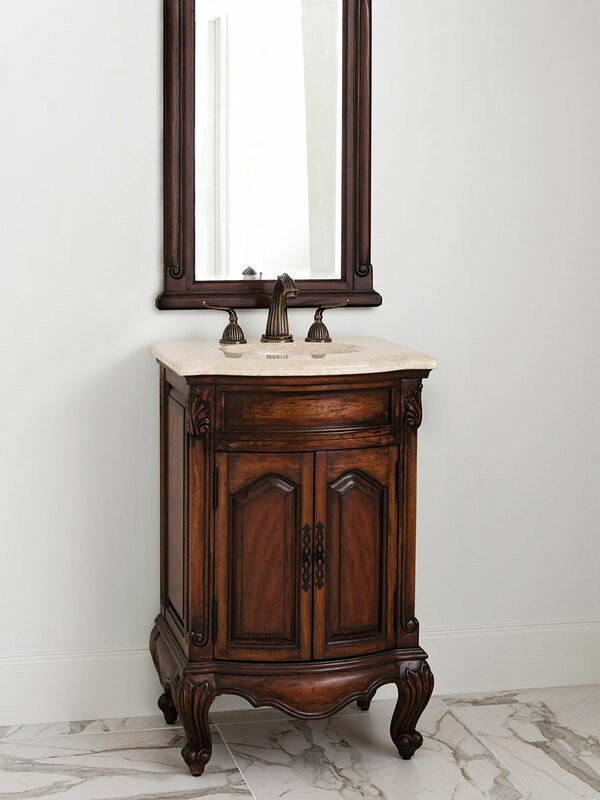 The 23" Bayside Harbor Vanity is a handsome addition to any small bathroom. It is constructed from a mahogany frame that has a swirl mahogany veneer, The imperial beige marble top and backsplash is both creamy and solid, giving you beauty and brawn. The double door cabinet allows you to keep your bathroom stocked and organized. The balsa porcelain sink is included, but faucets may be purchased from the drop down menu.